The Center for Retina and Macular Disease offers you and your patients excellence in specialized vitreoretinal care. 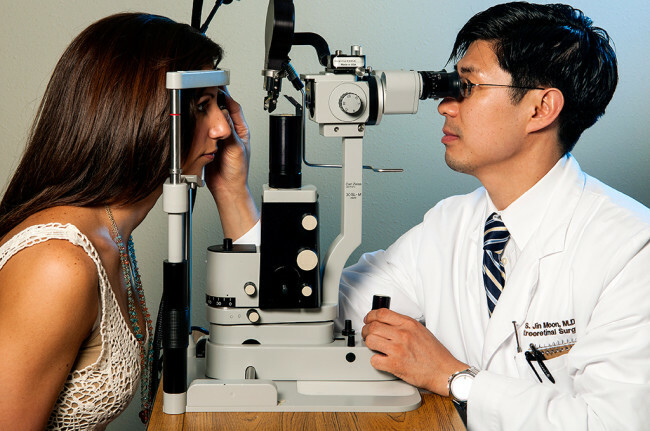 Our staff includes world-renowned physicians in the areas of vitreoretinal diagnosis and treatment. Our equipment is state-of-the-art. And our dedication to continuing research and development assures that your patients receive the most effective, least intrusive treatments available. Since 1991, CRMD has been working in partnership with area physicians to successfully treat patients suffering from complex retinal diseases. Vitreoretinal care is all we provide, and we encourage patients to return to their primary physician. By staying in the forefront of our specialties, we can provide treatments for conditions considered untreatable just five or ten years ago. In fact, when successful therapies are not available, CRMD has been known to invent them. But procedures aren¹t our main focus. Our primary goal still remains the delivery of quality, affordable care for your patients. To that end, we take a minimalist approach, sparing your patients the trauma and expense of unnecessary treatments. Please consider referring your patients to CRMD for their vitreoretinal treatment needs. We will maintain communication with you, send you a complete report of the treatment they receive and return them to your care as soon as possible. To refer patients to CRMD, visit our online patient referral form. We Have 7 Florida Locations to Serve You.